The Best Men's Double Bridge Sunglasses | Valet. The weather's changing and the sun is staying out later and later. 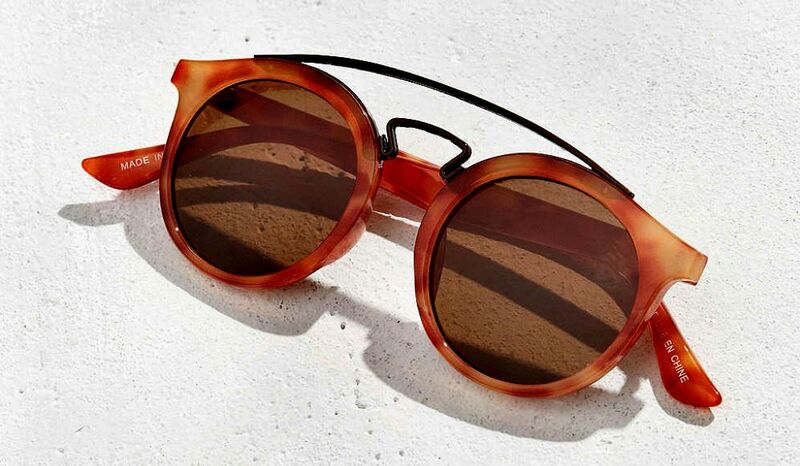 Which means it's the ideal time to start thinking about your sunglasses game. After all, selecting the right pair of shades is as significant a style marker for a man as pulling on the perfect pair of jeans. That being said, there's not a lot of room in the design process when it comes to eyewear—the classics seem to be the way to go. But then you kind of look like everyone else. Which is why we're in favor of the double bridge frame, something that's a bit of a rising trend at the moment. The frame's bridge is that strip over your nose that connects the two lenses together, and a double bridge adds another bar across the top of the frames, reinforcing and adding an interesting design element. Giving your sunglasses something extra (but still something subtle) is one way to take a low-key accessory to the next level. Here are a few of our favorite double-bridge options at the moment. Clean daily grime and oil off of sunglasses with dishwashing soap. Three easy solutions to the most common problems plaguing your sunglasses.